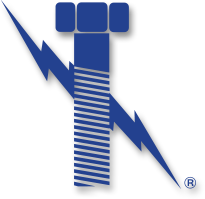 Lightning Bolt & Supply is your one-stop source for all Exotic Alloy Fasteners and hard to find alloy fasteners. We stock an immense inventory of Bolts, Nuts, Washers, and Studs in a wide range of hard to find materials such as: Nitronic 60, Brass, Silicon-Bronze, Monel, Inconel, Hastelloy, and alloy 20 fasteners are kept in stock and are ready for immediate release. In addition, let us know about your special Exotic Alloy Fasteners needs.